It is a real pleasure to be back at City Week. I am especially pleased to be here as the themes strongly resonate with what is happening in China, that is, "China's Economic Prospects and the Greening of its Financial System." As I have just returned to London from China for my annual leave and official consultations, I can speak first hand and share with you my views on the latest about China's economy and its prospects. How is China's economy doing at present? To answer this question, I think the figures of the first quarter speak for themselves. In the first three months, China's GDP grew by 6.7 percent, which is a reasonable rate and within expectation. · The service sector expanded by 7.6 percent and continued to have a higher share in the GDP at 56.9 percent, which was two percentage points higher than the same period last year. · Consumption also continued to increase. The total retail sales of consumer goods grew by 10.3 percent. · The slowing down in investment was reversed. The investment in fixed asset grew by 10.7 percent and was 0.7 percentage points faster than that of last year. · The industrial production has stabilised and industrial value added grew by 5.8 percent. · The real estate market has been warming up, with commercial housing sales increasing in both value and total floor area. This has led to investment rebound in upstream and downstream sectors. · These have fed positively into the market expectation. The IMF adjusted its forecast for China's growth in 2016 up by 0.2 percent, a clear signal of confidence in China's economy. In summary, the trends in China's first quarter economic performance have boosted confidence. Based on the above mentioned encouraging figures, the majority of China watchers around the world are convinced that the Chinese economy has hit bottom and stabilised. Earlier worries about a "hard landing" were simply an overreaction. The macro regulations the Chinese government adopted has stood the test since China's economic structure continued to improve while risks of "derailing" was effectively warded off. This said, the difficulties and challenges in China's economy should not be overlooked. The Chinese economy is undergoing crucial transition and upgrading. The aim is to replace old economic drivers with new ones. This means that the pains of adjustment will inevitably be felt from time to time. · China is capable of advancing structural adjustment and keeping a medium-to-high growth speed. · China will continue to be the biggest contributor to global growth. · China will continue to power up world recovery. · And China will continue to be the 'bellwether'. 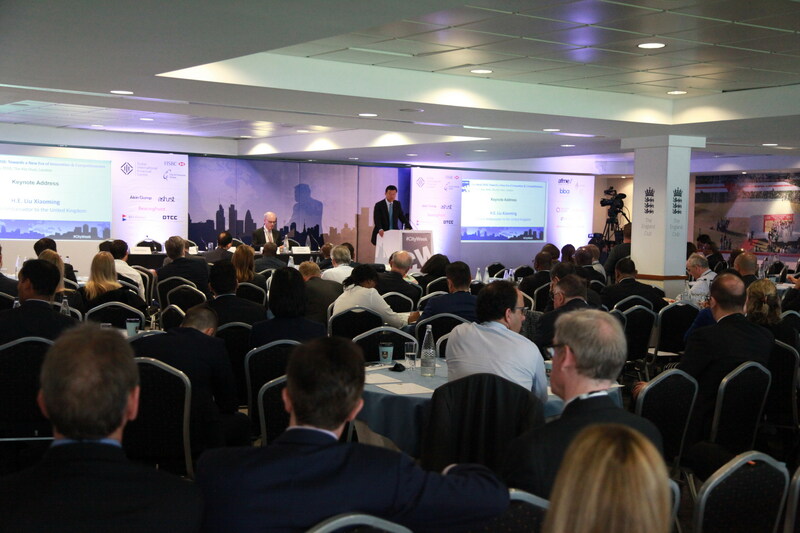 At City Week 2016 we have another welcome focus – 'Green Finance'. While the developed countries have decades of experience with green finance-related rules and products, this is still a very recent concept in China. Over the years, China has made enormous efforts to advocate for green development, resource conservation and environmentally friendly practice. Early this year China rolled out the 13th Five Year Plan for its economic and social development in the next five years. This Plan is highlighted by five new development concepts, and one of them is the 'Green Economy'. The Plan also sets a target of building a green financial system in China that consists of green credit, green bonds and a green development fund. In 2012, the China Banking Regulatory Commission (CBRC) issued the Green Credit Guideline. Since then, the green bond market in China has come into operation and started to thrive. Data show that in the first quarter of this year, China issued a total of 40 billion yuan of green bonds. Now China is working to establish and improve the rules and mechanisms of green finance. The aim is to put in place a systematic and effective green financial system in China. China is also committed to international cooperation in this field. In the next five years, Chinese overseas investment will continue to expand. An excellent example to follow is delivery of the 'One Belt and One Road' initiative. This will lead to more cooperation projects. China looks to quicken up the pace of dovetailing with other countries in green finance and hopes to contribute to global green development. In green finance China and the UK have already had sound cooperation. · Last October, the Agricultural Bank of China, with a successful LSE listing, became the first Chinese financial institution to issue green bond in London. · The Agricultural Bank also signed with the London stock Exchange Group the Memorandum of Strategic Cooperation in Green Finance. · Last December, the G20 Green Finance Research Group was set up under the joint initiative of China and the UK. It has since been co-chaired by the two countries. · This research group is committed to facilitating international consensus and cooperation on green finance. Its work will be a major contribution to the G20 Summit in Hangzhou in September. 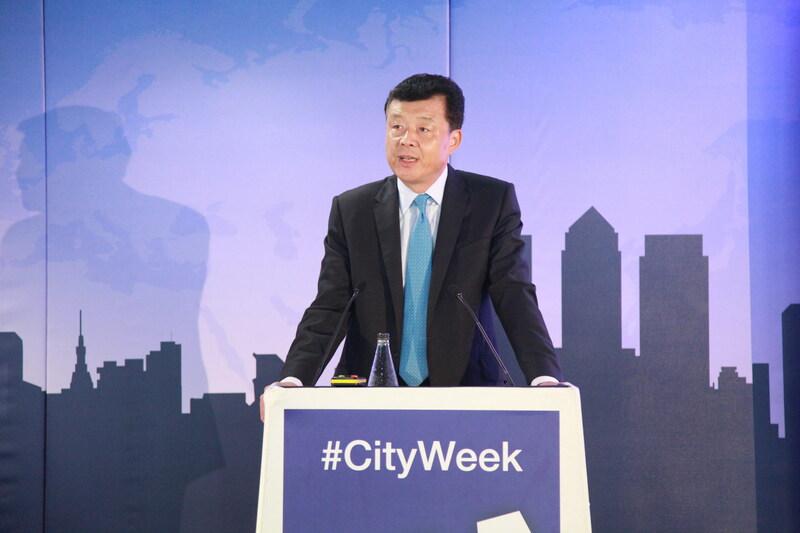 The green financial cooperation between China and the UK is still in the early days. But, this important 'green initiative' is already making rapid progress and showing strong dynamism. It is a rising highlight in China-UK financial cooperation. As we embrace the arrival of spring, I am confident the Chinese economy will continue to enjoy warmer days and brighter prospects. I am also confident that as summer advances, China-UK cooperation will raise the heat and yield more fruitful results.